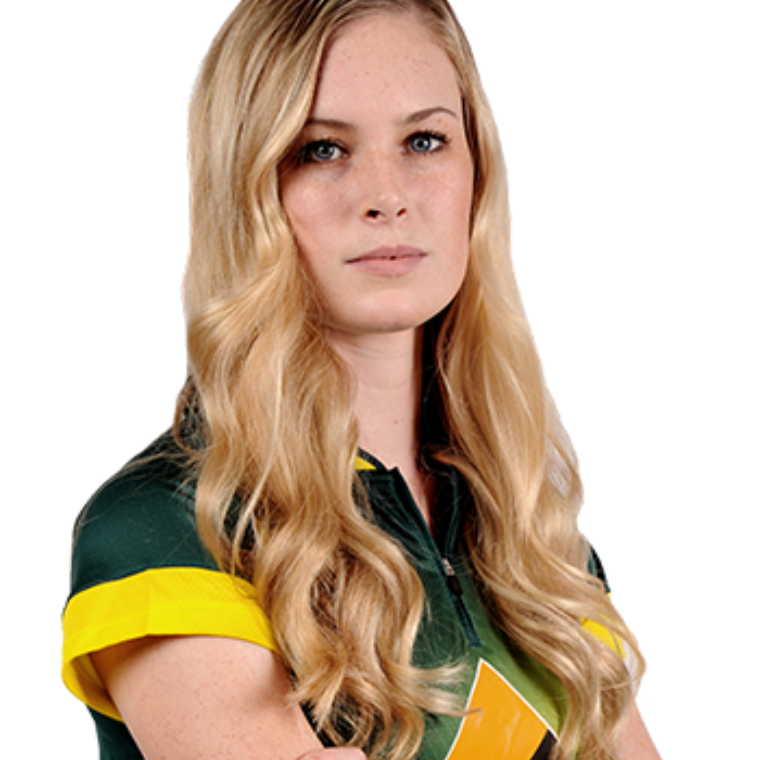 Holly Ferling is one of the rising stars of international women’s cricket, having exceeded expectations in her short career to date. Ferling was added to Queensland Fire’s rookie list at the age of 14. Following an impressive performance at the Under-18 National Championships in 2011-12, Ferling became the first female player to win the Ken Mackay Trophy for the Queensland Junior Cricketer of the Year. Her efforts also saw her called into the Australia A Women's for their tour of New Zealand in early 2012. In her debut domestic season Ferling earned a place in the Women’s National Cricket League 50-over Team of the Year and she was selected in the squad for the ICC Women’s World Cup in India in 2013. Aged 17, Ferling announced herself on the international stage. She went on to take nine wickets during the World Cup and was named 12th in the Team of the Tournament. Ferling helped Australia reclaim the Ashes from England in mid-2015. Having been one of the leading players for the Brisbane Heat, Holly has recently been recruited by the Melbourne Stars in the Women's Big Bash League.